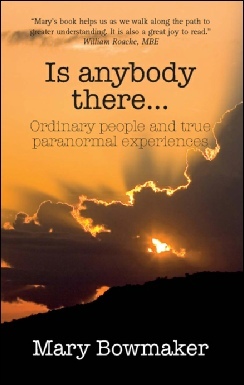 Is Anybody There, a book about strange, unbelievable incidents that happen in every life. How do we view them? Do we say ‘imagination’, ‘coincidence’, ‘just one of those things’, or is there perhaps something more? In this thought-provoking, self-help book of the so called ‘paranormal’, we seek to find answers to the unexplainable, and answers to the question posed in the title. This book is not about religious dogma or creed in any shape or form. It is about lives. The lives of ordinary people who, for one reason or another, have been touched by this ‘unnamed something’. It is about their experiences – experiences that could happen to any one of us at any time, in any place.